Woohoo! One third of the way done. 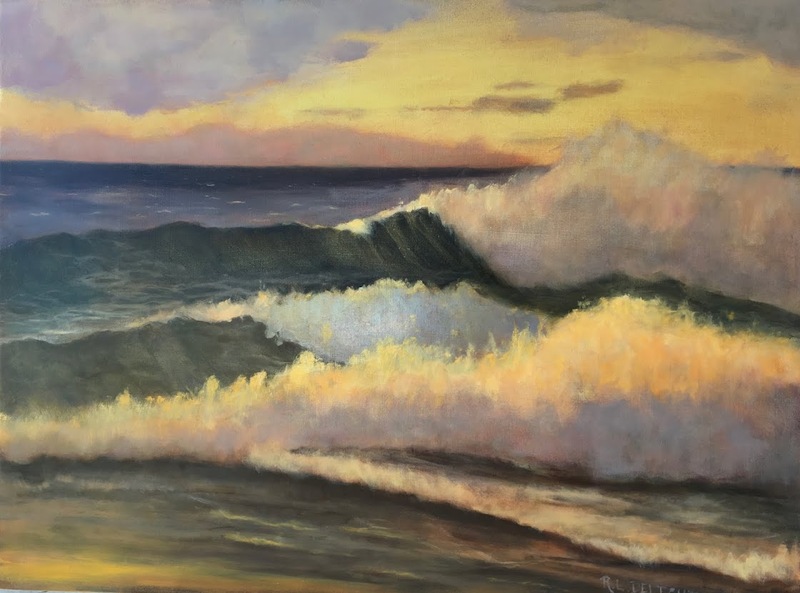 Of course, I might just keep on going, particularly after listening to the latest Artists Helping Artists podcast featuring Lisa Daria Kennedy who just completed her 1324th consecutive painting day and is still going strong. I enjoyed the podcast tremendously. 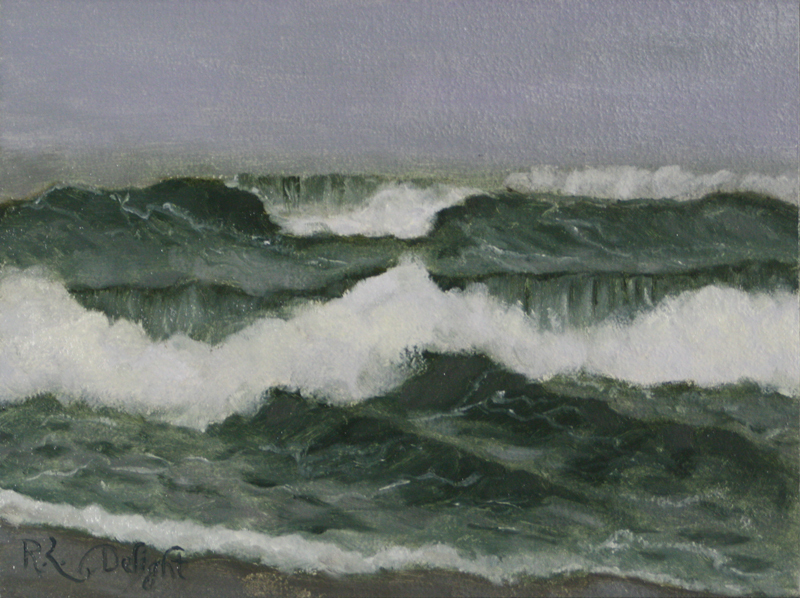 Today was a bright sunny day but bitterly cold so I took it easy and painted this in the studio from one of my earlier plein air wave studies. I will admit, I am feeling a bit tired and battered today due to the physical demands of the past week. I needed an easier day today. I enjoyed painting this one very much. I actually sat down and did nothing while listening to the AHA podcast. I usually listen while cleaning or cooking. Thank goodness for AHA! My house wouldn't be as clean without them. I am looking forward to getting back out to paint. I wouldn't mind getting to another spot for a nice change. I could spend a lifetime painting the coastal Pacific Northwest! I also want to thank everyone for their previous comments. They are always appreciated. My blog reading has fallen way behind this month due to this challenge and a few other projects I have taken on. I will catch up as soon as I can. I love learning and am enjoying myself in spite of the trials, and triumphs too of course!